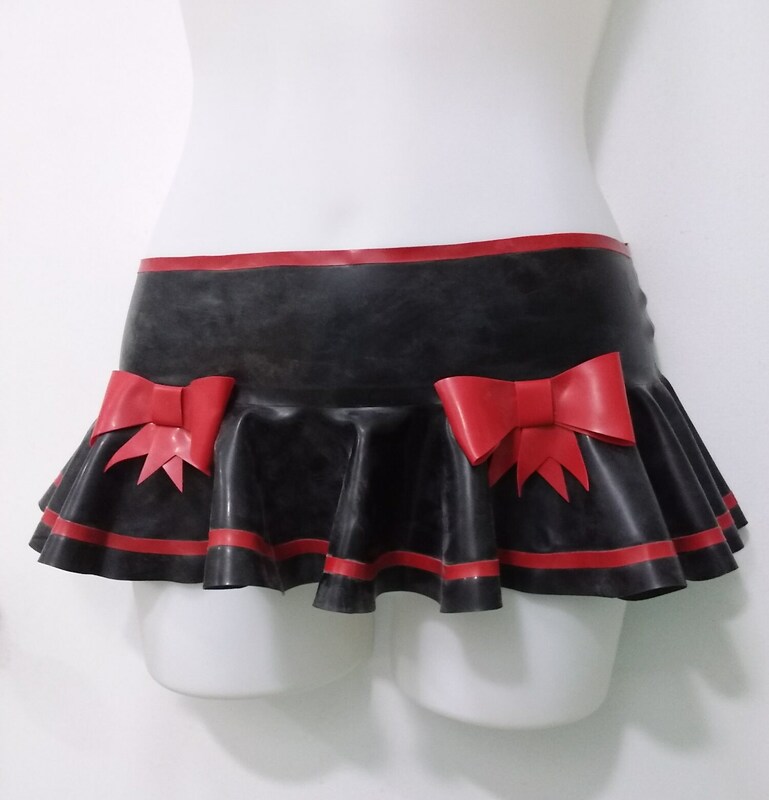 Black LATEX Hipster Skirt with Red trim and bows. Size Small. Finished and Ready to ship! This skirt is Black with Red trim and Red bows (the model is wearing a skirt in the same style, but in different colors). The skirt is meant to ride low on the waist. It's 28 inches (unstretched) across the top, and would look best if stretched out an inch or two when worn. It would fit best on a 24-26 inch waist and 34-36 inch hips, or a size Small. The skirt is very short: it is 7 inches from the top to bottom.